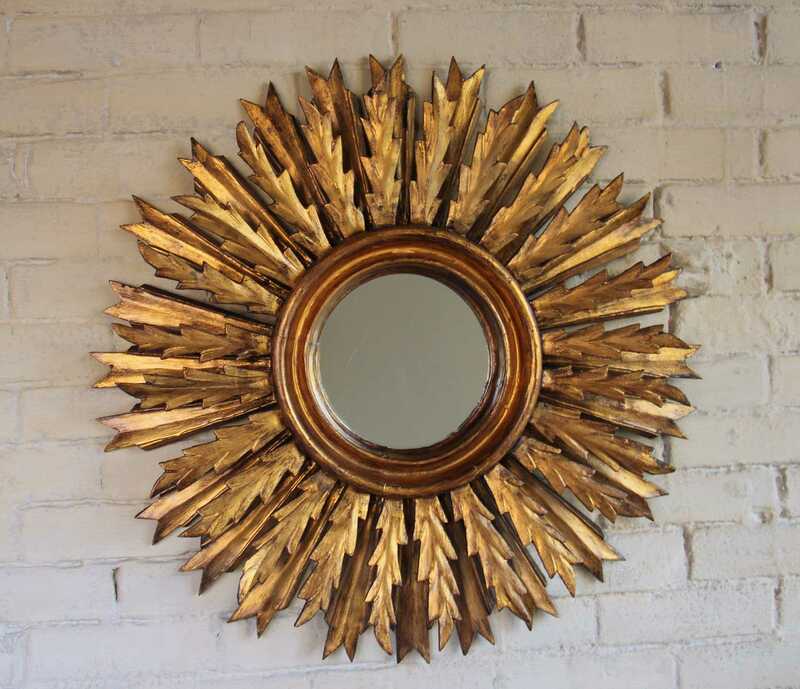 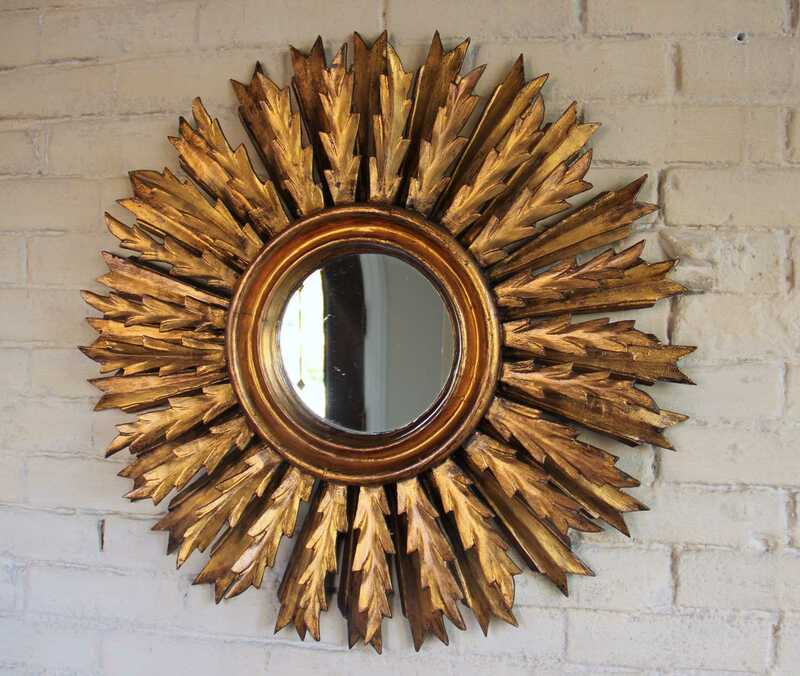 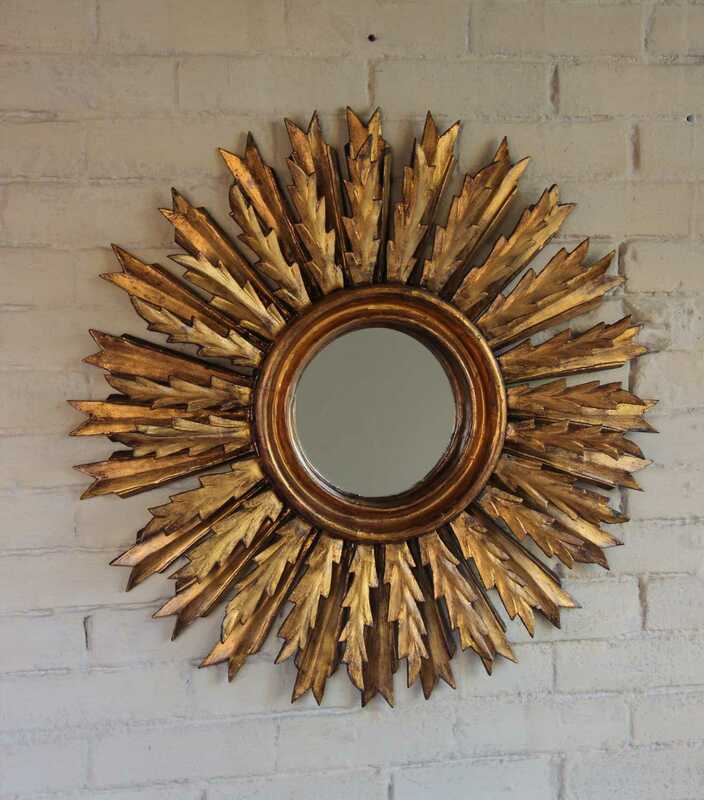 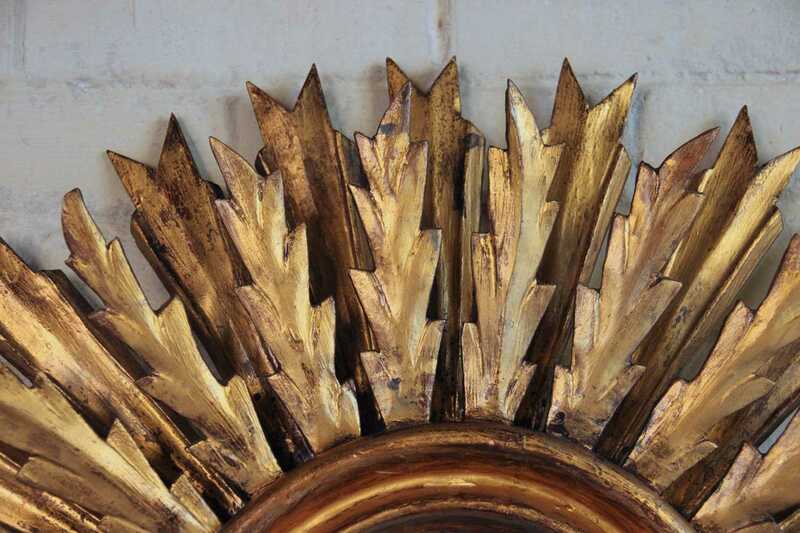 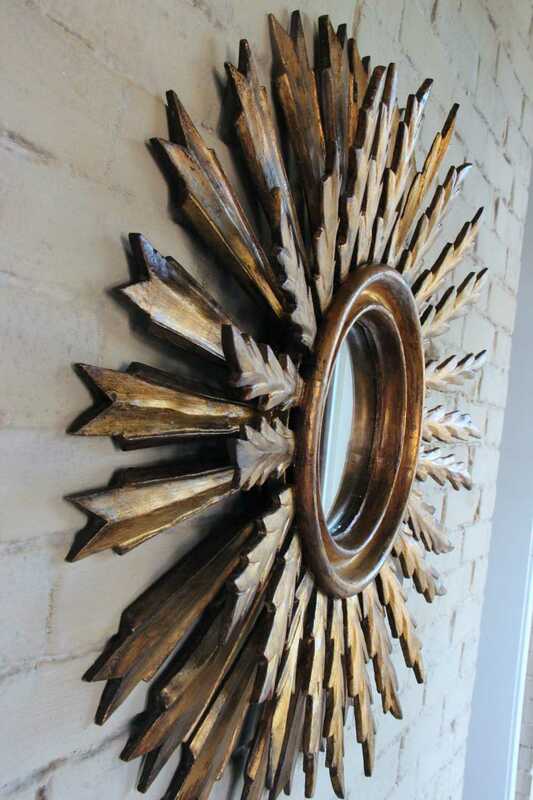 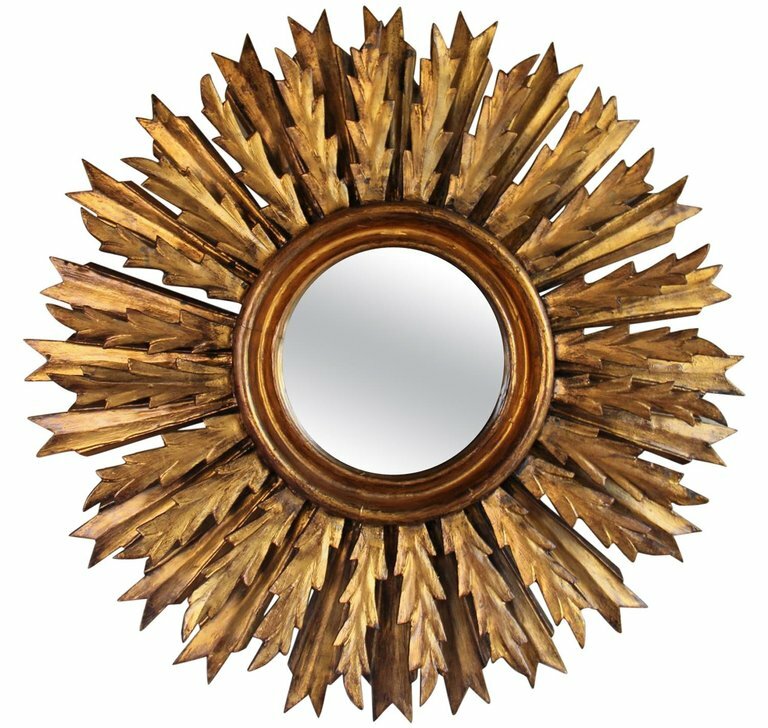 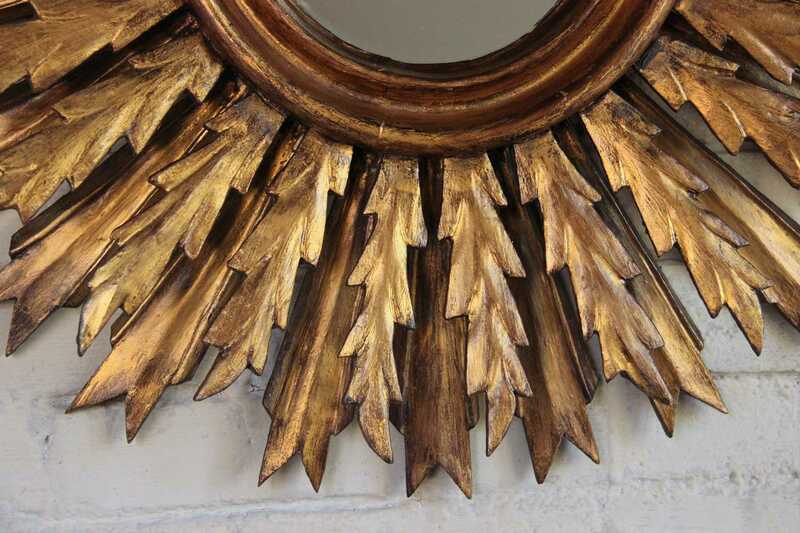 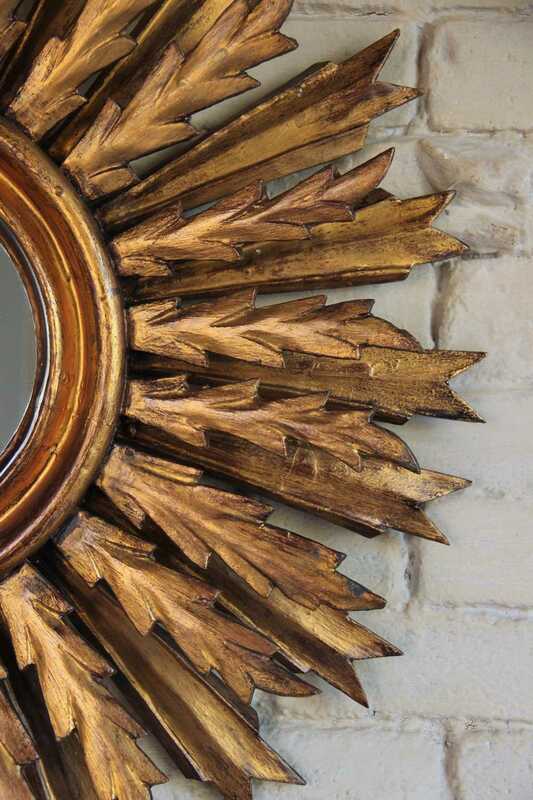 Midcentury French Double Layer Sunburst Mirror with Original Mirror Glass | Maison & Co.
An impressive midcentury French sunburst mirror, circa 1930 with rays arranged in a double layer pattern. 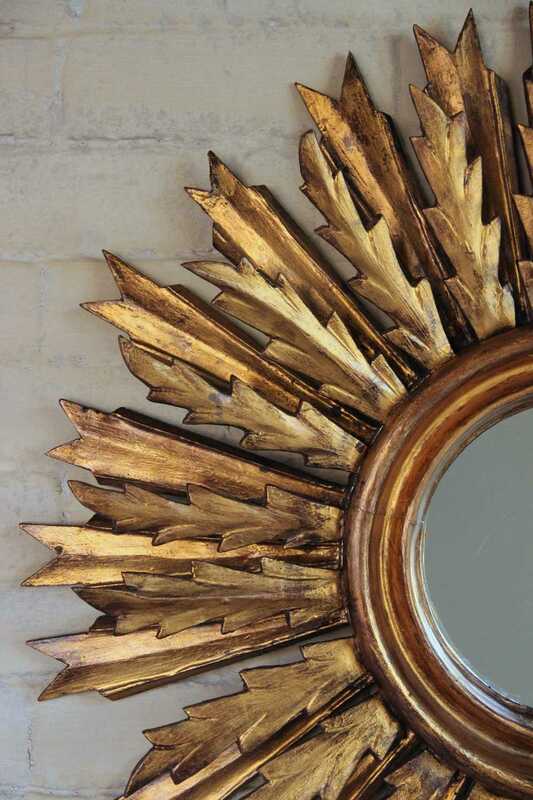 Original mirror plate. 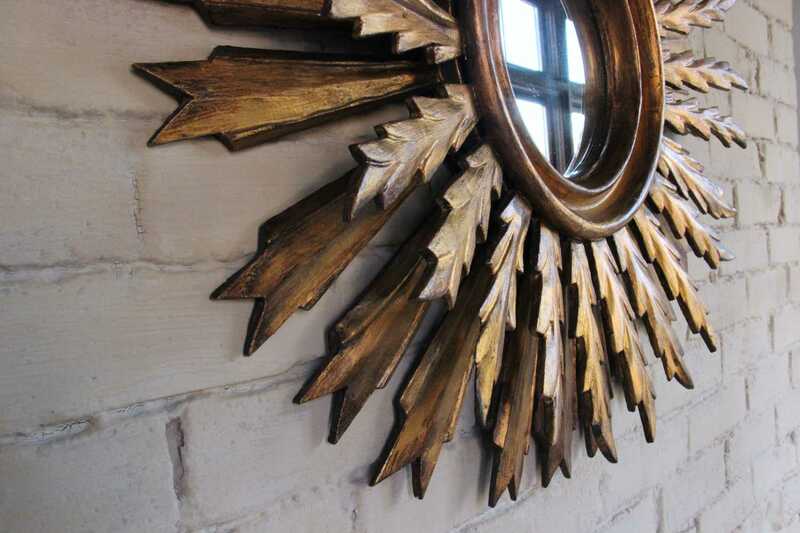 The mirror is 7.5 inches in diameter.